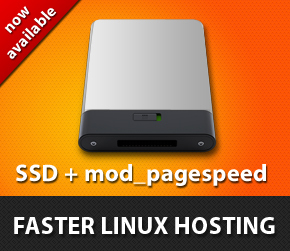 It is our pleasure to announce that we have upgraded our Linux Hosting to faster SSD [Solid State Drive] based servers. Solid State Drive offers advantage over hard disk in their ability to access data electronically instead of electro-mechanically, resulting in superior transfer speeds. This means that there should be an overall improvements in the speed. Furthermore we have also added support for Mod Page Speed on the new server. This upgrade has been provided to all our existing Linux Hosting clients completely FREE OF CHARGE and all our existing Linux Hosting accounts have been upgraded seamlessly to the new server. Antasoft strives to provide best of the services to its clients and will keep them updated with the latest advancements. Check out this space for more updates! Around Jan 2011 we started an experiment of setting up automatic web publishing mechanism. We started this by focusing building sites on Jobs, Shopping and Hotel categories. With the power of our Automation Engine we were able to launch a little over 1500 websites in above categories. Our automation engine took advantage of various free available products and affiliate feeds and it generated automatic sites around them. For this experiment, we also designed a Control Center from which each site deployment took place. 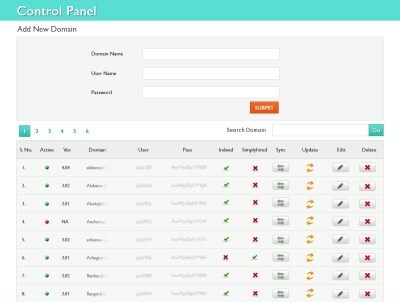 This control center was automated enough to host and deploy website from a single location but was also instrumental in updating all the sites at once from a single click. The more amazing aspect of this whole experiment was that these sites were deployed using Popular blogging software WordPress. We developed custom themes and custom plugins to accomplish this task. Wordpress is already a powerful CMS and with our custom Plugins and Theme, it became a powerful automatic publishing platform too. The reason we used WordPress was that we wanted to update our sites with custom blogs in Future. The main revenue stream of these sites were Advertisements and affiliate incomes. We successfully deployed this experiment on approx 1500 exact match domains and as we began to gain momentum with traffic, suddenly a newly launched Google algorithm hit us very hard and our traffic graph touched the ground in no time. We will be soon publishing a case study on individual verticals in our case studies section. 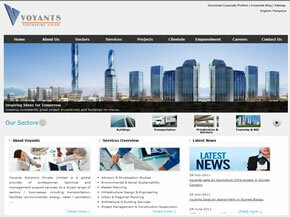 Antasoft has successfully launched a refresh and exhaustive corporate website of Voyants Solutions Pvt. Ltd. ! Voyants Solutions Pvt. Ltd. is a leading Infrastructure Consultant and Project Management Consultancy in India which has its wings spread all over the world, and thus required its presence to be felt accordingly. An entirely new concept was put in and with a new design and functions, Antasoft team designed Voyants Solutions corporate website in latest technology of WordPress CMS. As the main attraction of the new website, this now features many sections in dual languages English and French both – which can be easily switched with just a single click. The site extensively provide Voyant’s corporate, management info along with detailed services being offered by Voyants in the domestic as well as International market. The newly launched website now also highlights numerous projects implemented and completed by Voyants across the world in different verticals. This website was launched in the gracious presence of Voyant’s CEO and is going to help Voyant’s team to swiftly and easily update their upcoming projects and services by using a power CMS in form of WordPress. Antasoft Technologies Pvt Ltd today finalized an agreement with Fruitz Koncepts India Pvt. Ltd. to deliver a High End, International level Online Web Store (e-commerce site) with a Unique Point of Sale (POS) Solution for its upcoming stores, One of its kind Customer Relationship Management (CRM) system along with exhaustive Franchisee Management Tools and many more features for Fruitz Koncept’s smooth operations. Antasoft will be the exclusively provider for this solution. * Fruitz Koncepts India Pvt. Ltd. is the first company in India to bring a Unique Koncept of Fresh fruit Bouquets – 100% edible bouquets made from Fresh and Exotic Fruits, with its current operations in Delhi/NCR. 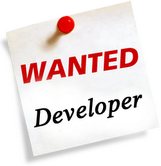 * Antasoft Technologies Pvt. Ltd. is a leading web solutions provider with over 500 clients worldwide and currently manages over 2000+ domains. 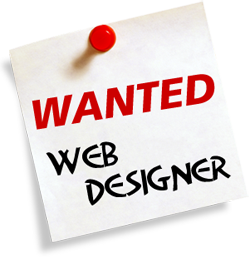 Your search for most unique and state-of-the-art website designing is finally over!! Antasoft Technologies Pvt Ltd. – a leading website designing company in Indore, with its exhaustive experience in the highly-techno area of website designing is bringing cool new designs and templates especially for its esteemed clients in Indore. A website never sleeps – so doesn’t your business! Antasoft’s services for Website Designing in Indore will make your website the most authentic route for turning the wheels of information and business uninterruptedly – even when you sleep! With its professional designers and programmers, Antasoft’s website designing in Indore will create a window for you to bring ease to your customer and potential clientele to know about your services in quick clicks with most easy navigation. In today’s time, when people are working “ONLY ONLINE”, your business can reach to an unthinkable success if you give a new look and feel to your business through our well customized website designing plans. It’s a high time when you would stand in the same sphere of B2B marketing and compete… Choose for a unique style of your own website for your own business! Once you decide you need a Web site – it’s time to let us know! Antasoft shall be pleased to assist you in deciding which outlook and system would suit your business in the best possible manner in most competitive prices. ,. Be very careful while searching for any other website designing company in Indore as a poorly designed Website will only create a negative marketing for your business, giving an impression of low affair business with you. BUT incase you have already chosen wrong services we are there to help you out in every possible way as we have already done the same for many of our clients successfully. While looking for website designing company in Indore one should know first what exactly are their requirements, what does their business needs and then select a professional and experienced company which we assure you that only Antasoft can bring you the best solutions for. 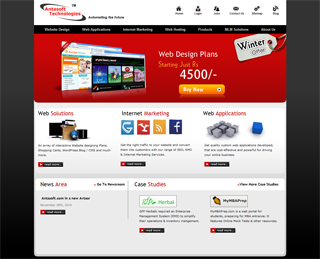 A leading website designing company in Indore, -Antasoft Technologies have the skills and commitments to make your dream turn into reality with its creative and talented website designing team. . Antasoft has huge experience in working with diversified business domains right from Healthcare, Manufacturing, Education, Travel, Food Services, Hotel and Catering to MLM based companies. And not stopping here, We have the skills to turn your entire online venture into a huge success. We – a leading web site designing company in Indore is committed to provide KIQQ (read Kick) to your business ”Kreative, Innovative , Quick & Quality” Website Design Solutions, Web Development, E-Commerce Web Applications and many more, etc. at most affordable and competitive prices in Indore. 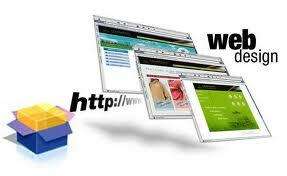 We are one of the best website designing company in Indore and it will be proved once you take our services too. Look forward to seeing you grow! will go live on the 1st December. The new, simpler navigation and improved design of Antasoft technologies new website helps you on your journey through the website and provides you with quick and direct access to the information you are looking for. After having served the software industry for over a decade now, a need for an improved website was felt and thus it was in consideration since long. Mr.Anant Sharma the CEO of Antasoft Technologies Pvt. Ltd said: “The launch of our new,improved website has been a long time in consideration, so we’re very much pleased to announce that it has finally taken shape and will be live soon. Our rapid expansion plans are grounded on the belief that success is fostered by top quality products and services. 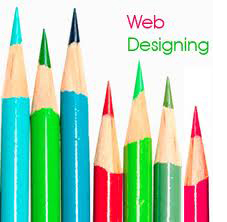 We aim to become the leading name in the software and website designing industry. Thus this is an attempt to provide better services to our customers. With our new corporate website people will not only find the relevant information but they will also be able to make orders online. The governing principle in this redesign has been to provide users with ready access to relevant informationwhile eliminating redundancies; the interface is more users friendly And simpler to navigate.